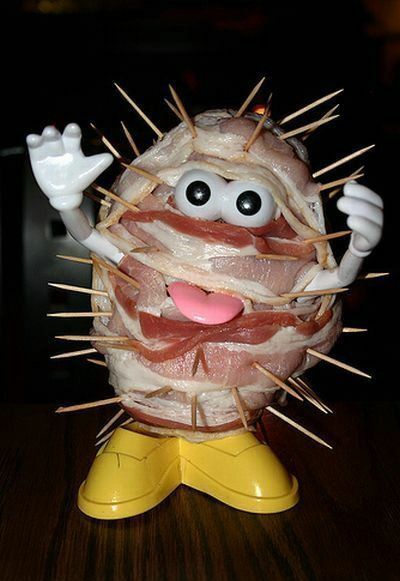 Mr. Baconhead is full of win. Throw in a Mr. Egghead and you’ve got a winning combination. I prefer sausage, actually. Does that mean there’s something wrong with me? Yick, i mean yumm, or yick. That depends on where and how you like your sausage.